The academy is not only an educational institution but also well known for history, culture, recreation and fine arts. The US Naval Academy has an outstanding location, surrounded by the Chesapeake Bay, Severn and Magothy Rivers. The scenic grounds of the Naval Academy, known as the Yard has an amazing contrasts in architecture reflecting its distinguished history. It offers tree-shaded monuments commemorating courageous graduates and non-graduates and their contributions to naval history. The first Naval School was established by George Bencroft, Secretary of the Navy at Fort Severn, Annapolis in 1845. There were 50 students taught by 4 officers and 3 civilian professors. 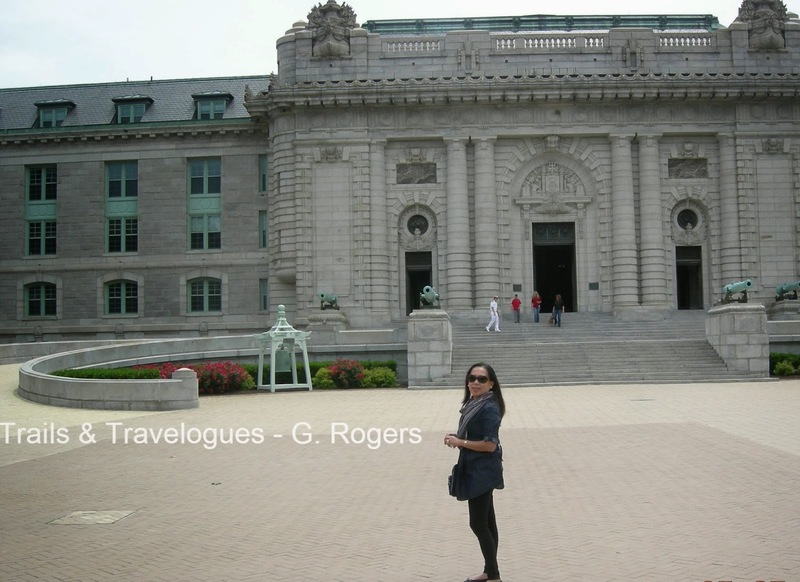 The school became the United States naval Academy in 1850, the undergraduate college of the US Navy. During the Civil War, the Academy moved to Newport, R.I. and was re established in Annapolis in 1865. In 1933, an act of Congress authorized the Academy to confer the bachelor of science degree. As it grew over the years, the Academy expanded from 10 acres to a 328-acre complex, from 50 midshipmen to a brigade of more than 4,400 midshipmen. Bancroft Hall is named after George Bancroft, the founder of the school in 1845. It is now the current home for more than 4,400 midshipmen, containing approximately 1,700 midshipmen rooms, has actually 5 miles of corridors and about 33 acres of floor space. All facilities for recreation and all basic facilities of midshipmen's daily living needs are found in this hall. Some areas of Bancroft Hall are off-limits to visitors but other areas such as the vast Rotunda and Memorial Hall dedicated to alumni who gave their lives in the war are open for the public. It was such a miss not being able to visit the Naval Academy Chapel which was unfortunately closed that day due to holiday :(.